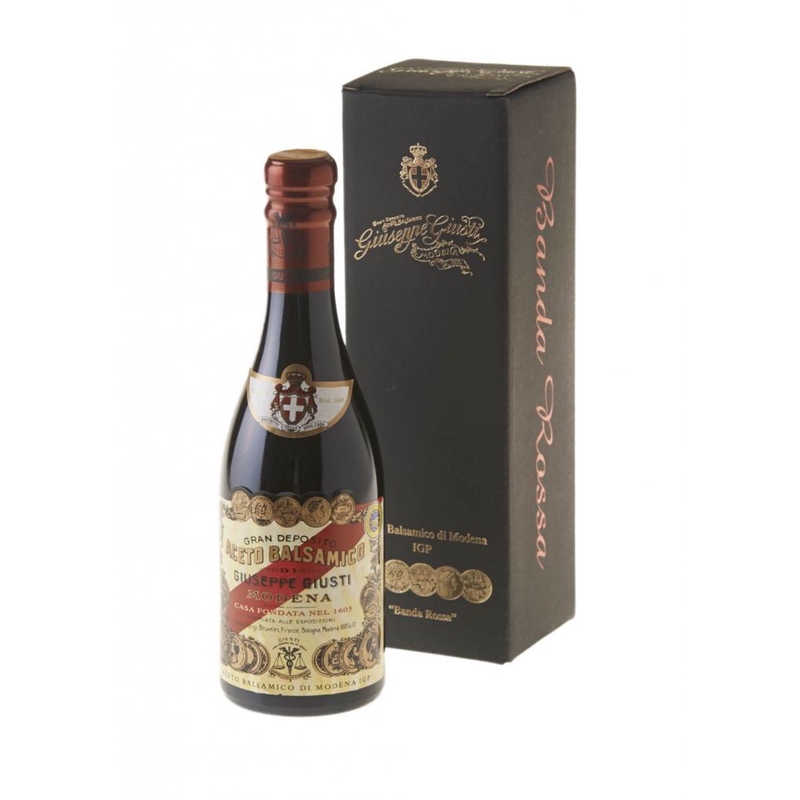 This is the Giusti family’s most precious reserve, produced in limited numbers only after an extensive ageing period of 20 years in the most precious barrels dating back to the 1600s and 1700s. In 2008 for the third year in a row Banda Rossa achieved ‘3 Stars of Taste’, the maximum score obtainable at the “Superior Taste Awards”, organised by the ‘International Taste and Quality Institute of Brussels’, an independent association which works in partnership with a panel of Michelin chefs and the Sommelier Association of Europe. “Banda Rossa” was awarded with a special prize, the ‘Crystal Award’, given to firms which achieve the three Stars three times in a row. Giusti is the first balsamic vinegar company to obtain such an achievement, and in the history of the Superior Taste Awards the Crystal Award has been awarded on only one other occasion.